Double the hot pink with this great pink bow. This is a double layered bow with all shades of hot pinks to light pinks and white. 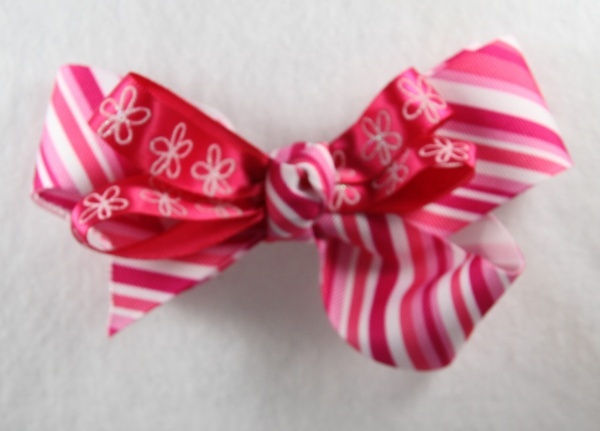 The bottom layer is a boutique bow with different color pinks and whites in stripes. The top layer is a hot pink satin ribbon with white fairy flowers. It is wrapped in a French knot with the same striped layer and is attached to a French clip.